“Lazurko’s straightforward prose transports the reader to early 20th-century Canada. A Halifax slum, seedy brothel and claustrophobic sod hut are brought to life by well-researched details into medical practices, domestic life and homesteading. Hers is an unidealized portrayal of life at that time, as known to the working poor, the disenfranchised and the sickly. Her characters are well-developed, flawed and frightened. A“There are many places here that Lazurko could give in to sentimentality and good old pioneer cliché…, but Lazurko veers away from easy conclusions and gives us a few good surprises. 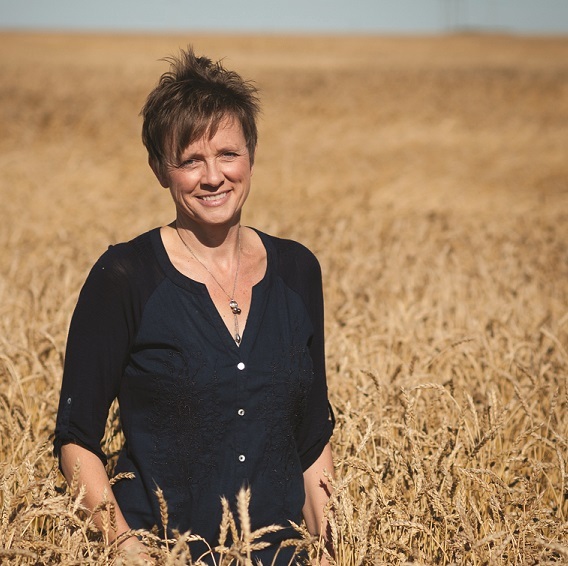 As well, she writes a couple of gripping scenes, one of childbirth and one of the inevitable prairie storm, that are true page-turners, but never gratuitous and always organic parts of the overall story. “The story is narrated in the first person, alternating between Moira’s voice and Dillan’s. Each perspective is well developed and distinctive. The descriptions of the hardships endured by homesteaders at the turn of the 20th century are interesting, and historical details add to the book’s flavour and believability. Throughout, Lazurko reveals the ways in which her characters are victims of the Puritan religious ideology of the time. The writing is wonderfully descriptive, and the book is a fast and easy read. “This was an historical novel lightened by the fresh scent of modernity, which also has cross-Canada appeal. If you like prairie stories with a strong female lead, this will be a good choice for you! “Dollybird is a page turner. Every character is fully realized, crippled by pains specific and universal. The writing is shot through with poetry, even the landscape is rendered harsh and graceful in the same moment. Author Anne Lazurko handles time as elegantly as she manages plot. Movement is seamless; I believed the motivations of the characters: Moira’s intelligent sense of injustice; Dillan’s stubborn blindness to his own failings. Their triumphs are hard-won and convincing. Such a cast of characters- everyone steps off the page, even those we only catch a glimpse of. History backlights every line; Lazurko’s research paid off. I trusted, I learned, I was transported to southern Saskatchewan during the rough days of early settlement. I have no doubt that it was hard to write a novel without sentimentality but Lazurko achieves a level of objectivity that makes space for the reader. Dollybird covered me in dust and mud; the pages are intoned with every kind of love: the absent, the lost, the yearning, the found. -Katherine Lawrence, Award winning author of “Lying to Our Mothers”, and “Ring Finger, Left Hand”. This is a story set in Saskatchewan in 1906. My how our world has changed. Many people only had the strength of their backs to see them through. I liked the characters, they are well developed and felt real. It was a book I read quickly as I wanted to know what would happen next. It ended differently than I thought it would. There could be a sequel to this book, I do not think Moira is going to spend the remainder of her life on the farm.